I know I am not alone in saying there is something that intimately connects both bicycles and design. Every time I see a drawing or graphic design of a bicycle my heart skips a beat. I imagine the personality and life of the bicycle, the intimate relationship it has with its rider, and the wind it feels between its top and bottom tube. Ok, maybe I exaggerated, but I do love seeing graphics of bicycle, more so then photos. Its the combination of art and technical design. The fusion of bright colours with straight angular lines that gets me all giddy. Recently I was re-equated with a friend I have not seen in 5 years, it was brilliant. She also lives in England, and came to Brighton for a visit, clearly she fell in love (with the city) how could someone not?! But I digress. With her, she brought a copy of boneshaker, a magazine populated with short stories all about bicycles! And even better, its jam packed with bicycle graphics. Every time I read the magazine my mouth starts to slightly salivate. 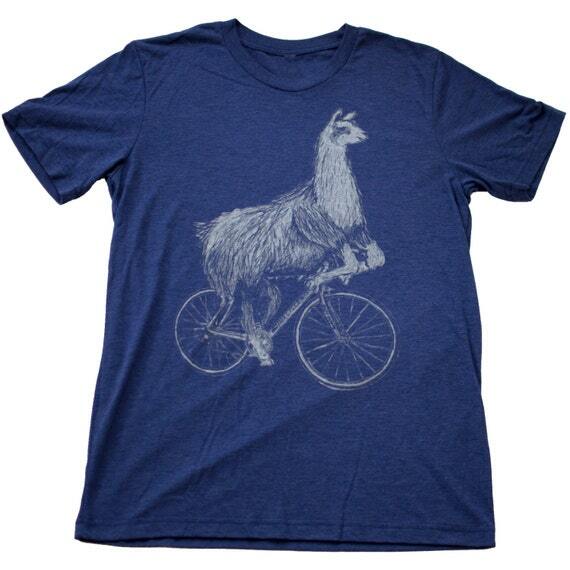 Animals Riding Bicycles: This is a designer from Etsy, there are giraffes, lamas, whales and more all riding bicycles. Why not?! Eliza Southwood: Her illustrations are beautiful, colourful and a large portion focus on bicycles. I think I have a tiny bit of envy. Boneshaker: The magazine itself has a shop that has some pretty great bicycle related graphical goodies (think tshirts, wall hangings, books, and more). When did you last draw your bicycle? Originally posted on Time2BranchOut on April 19th, 2016.